« Double, Double, Boil and Trouble. Give me a L.G.B.T.Q. Book!!! Last semester, I had to complete a collection assessment in a library of my choice. Knowing that most of my classmates were going to pick libraries in the surrounding area, I decided to pick my childhood library, a library deep in the heart of Texas. My chosen theme: LGBTQ. My first task was to find three reputable sources to assist me with analyzing the collection. I picked Cooperative Children’s Book Center’s (CCBC) bibliography, “Gay and Lesbian Themes and Topics in Selected Children’s and Young Adult Books,” the Rainbow Project Committee’s “2013 Rainbow list,” and the “Sexuality” chapter from Liz Knowles’ and Martha Smith’s Understanding Diversity Through Novels and Picture Books. With a combined list of 213 notable LGBTQ books, I was sure that I would face some challenges, but nothing prepared me for the results I was about to uncover. Out of 213 books, this particular library, which shall not be named, only had 8 books of LGBTQ. Yes, you read that right: 8 books. This is a whopping 3.76% of the 213 book list. To make matters worse, the newest addition to the collection was published in 2008. I checked recently and they had added one more book since I last looked at their collection. The newest addition, Homosexuality, is from the Opposing Viewpoint series. Based on these statistics, they definitely have not developed a bisexual or transgender collection. This is extremely distressing when an estimated 9 million adults are openly LGBTQ in the United States. However, this statistic does not include the adults and young adults who have not chosen to openly declare their sexuality. Providing literature representative and inclusive of the LGBTQ community is even more imperative. Forty-two percent of LGBTQ youth report living in communities that do not accept their lifestyles, while 92% of LGBTQ report hearing and seeing negative messages about their lifestyles. Alexander F. Parks goes one step further and pushes libraries to openly book talk LGBTQ literature and not just put them on the shelves. He argues that many libraries expect young adults to find these books on their own, but if libraries were to openly book talk excellent LGBTQ books, we could open new and exciting avenues of exploration. I would further argue that libraries should book talk not just young adult books, but adult books too. By providing access to LGBTQ literature, libraries remain committed to offering free and non-discriminatory access for all, while sending the message of freedom to read. My fingers have been tingling with anticipation for this book for a while. I was extremely excited that I finally found an excuse to sit down and read The Miseducation of Cameron Post. A fellow teen librarian touted the book as a contemporary Annie on My Mind, but with more mature themes. I have never read Annie on My Mind, but I have read other LGBTQ coming-of-age books. With how much praise this book had been receiving when it first came out, I was expected to be blown away. Sadly, I ended up walking away feeling like this book could have had 200 pages eliminated. Admittedly, the book started off fairly well for me. Danforth introduces us to Cameron, a young girl growing up in small town Miles City, Montana during the 1990s. We read how Cameron begins to explore her sexuality with her best friend, Irene, during one summer. However, Cameron feels severe guilt when her parents die in a car accident on the same day that Irene and she share a kiss. She soon finds relief that they will never find out what she did. As the years progress, Cameron finds herself exploring her sexuality on different occasions, until one day she develops an intense and powerful relationship with the new girl, Coley Taylor. This comes to a crashing halt when Cameron’s sexuality is revealed to the town and she is sent to a camp that “fixes” people like Cameron. I guess I was expecting a little more drama with the book. I don’t mind quiet books, I actually think some of the most beautiful books are “quiet” novels. However, the book jacket of this book made me believe there was going to be a little more excitement – surviving in Miles City and an ultra religious aunt who wants to “fix” Cameron. I actually thought that this book could have taken place anywhere and the aunt did not have to be defined as ultra religious. I actually thought the aunt was someone who embraced her religion wholeheartedly and she responded to Cameron’s sexuality with what I am assuming was a response held, and still held by many today, in a conservative small town. This was a time when Exxodus International was the largest sexual reorientation organization in the world. I do want to iterate that I am NOT assuming this a belief held by all conservatives during this time. Besides what I deem a misleading book jacket, I felt the book tended to drag in certain places. I understand that Danforth was trying to develop Cameron’s experiences, but I just got bored. The most exciting part, for me, was the relationship with Coley and Cameron. Whoo! Get me a fan, THAT was a romance. It was steamy and made the reader anticipate where it was going next. And then, Cameron is “discovered” and sent off to God’s Promise: Residential Discipleship Program. Some other readers have claimed that this is where Cameron finally discovers herself, but I saw it as more of her finding her community. The thing is, I was still bored. 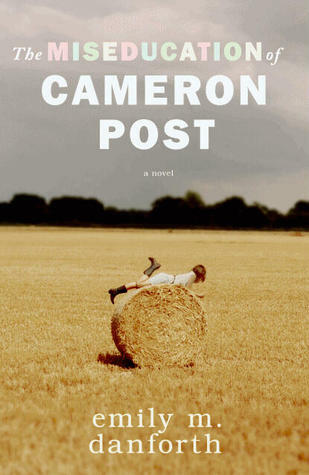 For a Forever Young Adult book club, The Miseducation of Cameron Post raises good questions. Readers could argue whether Cameron ever truly discovers herself, if the relationship between Coley and Cameron was a true romance or lust, and they can argue the plot itself. I ADORED this book. This has to be one of my absolute favorite reads this season. 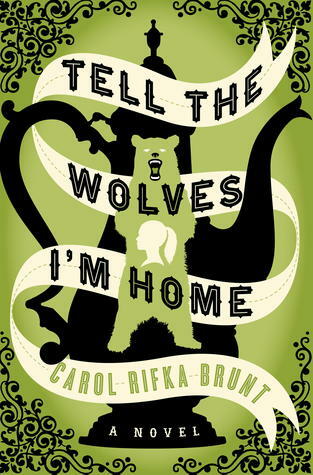 When I was researching potential LGBTQ books that would be good cross-overs for teens, Tell the Wolves I’m Home kept coming up. A 2013 Alex Award, Tell the Wolves I’m Home does not disappoint. In 1987, fourteen-year-old June Elbus has just lost her beloved uncle and godfather, Finn, to AIDS. Living with a mother who will not acknowledge the cause of Finn’s death, and a sister who seems determined to make her feel even more forlorn, June’s only solace is the last painting that Finn painted of her and her sister, Greta. This all changes when June receives a mysterious package containing the teapot that Finn treasured. June soon learns that the mysterious sender is Toby, unbeknownst to June, Finn’s significant other. Forging a new friendship, June tries to understand and navigate the complexities of human emotions. What I appreciated most about this book was the character focus. Although there is a LGBTQ theme, it was not the sole focal point. The focal point, for me, was how one man and his death interwove multiple people’s lives; how a teenage girl must learn to deal with not only the loss of her favorite person, but her unresolved romantic feelings for an uncle; A lover who is trying to reach out to the only person who understood Finn the way he did; A sister dealing with emotions of jealousy and being pushed into adulthood too soon; and a mother, who is not only dealing with the loss of a brother and best friend, but decades of buried emotions. This book encompasses the life of a man who happened to be gay, but shows the power of human connections. Another reviewer mentioned that one should listen to Mozart’s Requiem before you read the novel. I would suggest that you listen to it afterwards. I listened to it several weeks after reading the book and I could still place the powerfulness of the book with the music. I immediately thought this would be a fantastic indie movie, if done correctly. Adults and young adults will both enjoy this book. It has a little coming-of-age feel, while also looking at how to face the past, and coming to terms with who you are. Every single character presents something to the reader. Read this book. Savor this book. Weep with this book. I read this book in 2009 when it was first published, and I remember loving it. I still recommend it to people today. 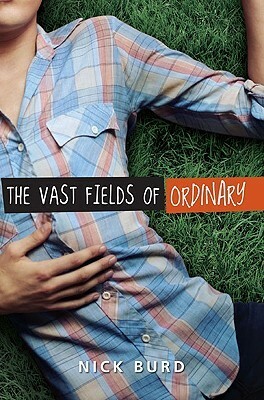 It is definitely a coming-of-age LGBTQ book. Dade is spending his last summer before college trying to make the best of a crappy situation. Not officially “out,” Dade has to learn how to deal with a “boyfriend” who still has a girlfriend, his parent’s marriage bordering on divorce, and a new love interest who comes barreling into his life. With a strong realistic approach, despite Dade being gay and male, the reader will connect emotionally with him. This is a great and fun read. Showing people from the 1940s to present day, the book gives intimate snippets into people’s lives as they reveal their own stories of growing up gay. 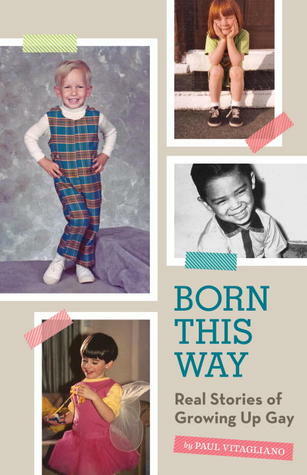 If you would like to continue to explore these snippets, the book is based off the blog, Born This Way. Told in verse, Freakboy alternates between three narrators. Brendan, the all-American boy, who feels like he is in the wrong skin. Vanessa, Brendan’s girlfriend, who is dealing with an emotionally distant boyfriend while trying to savage the relationship that has now consumed her life, and Angel, the transgender female, who helps other face their fears after conquering her own struggles and fights. 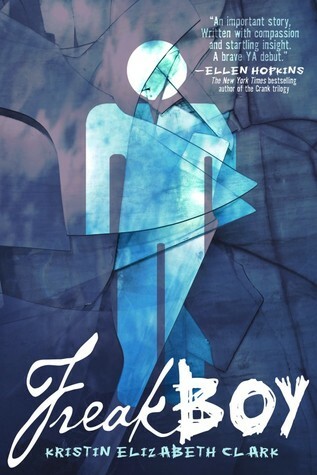 Freakboy offers a pinprick of insight into the impact of sexual identity. Gates, Gary J., How Many People Are Lesbian, Gay, Bisexual, and Transgender? The Williams Institute, http://williamsinstitute.law.ucla.edu/wp-content/uploads/Gates-How-Many-People-LGBTQ-Apr-2011.pdf (accessed March 3, 2013). “Growing Up LGBTQ in America: View Statistics,” Human Rights Campaign, http://hrc.org/youth/view-statistics#.UV3z5avwLXE (Accessed March 3, 2013). Parks, Alexander F. “Opening the Gate: Booktalks for LGBTQ Themed Young Adult Titles.” Young Adult Library Services 10.4 ( Summer 2012): 22–27. Professional Development Collection, EBSCOhost (accessed March 3, 2014). This Post was posted in March 2014 and tagged book recommendations, book review, Carol Rifka Brunt, Emily Danforth, LGBTQ, Tell the Wolves I'm Home, The Miseducation of Cameron Post, Young Adult Books. Bookmark the permalink.